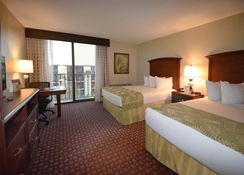 Located in the centre of Orlando, the Rosen Inn closest to Universal is a great starting point to explore the surrounding area and it offers comfortable accommodation with modern amenities. The Universal Orlando Resort is only 500 yards away with the Orlando International Airport being a mere 15 minutes’ drive too. You can also reach SeaWorld Orlando and Universal Orlando Resort easily via a free transfer from the hotel - making your theme park planning even simpler. 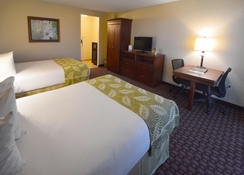 The Rosen Inn closest to Universal provides fresh rooms, breakfast buffet, mini-market and also has a bar on-site. Guests can enjoy free Wi-Fi as well as a range of restaurants close by with the Shogun Japanese Steakhouse attached to the accommodation itself. So, why not start the magic early and book today? 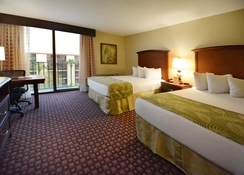 The Rosen Inn closest to Universal is located right in the centre of Orlando next to International Drive. All the major attractions are within easy reach including Universal Orlando Resort (500 yards), Florida Mall (4.6 miles), Walt Disney World (7.5 miles) and SeaWorld (3.7 miles). There is a free shuttle service from the hotel to SeaWorld Orlando and Universal Orlando Resort. 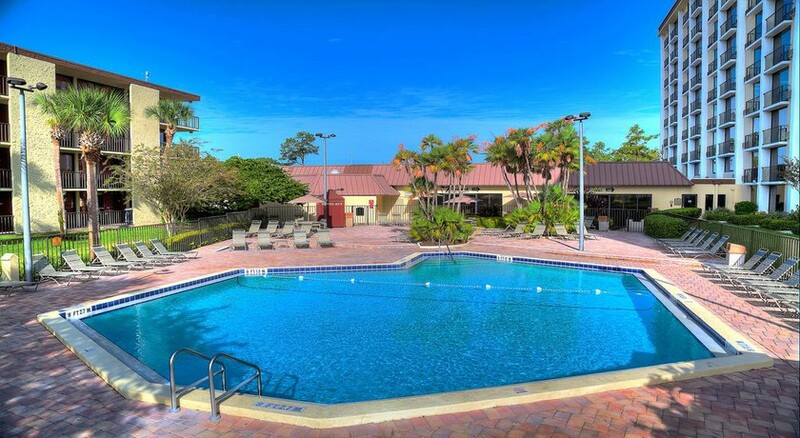 Staying at the Rosen Inn means you are close to countless bars, restaurants and other eateries while the nearest golf course (Shingle Creek) is just over 4 miles from the accommodation. 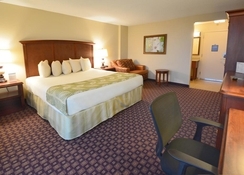 The rooms at the Rosen Inn closest to Universal can sleep up to 5 people. They have two double beds as well as a rollaway bed and they all provide air conditioning, mini-fridge, Wi-Fi, ironing facilities as well as a tea and coffee too. The rooms don’t have balconies as they are set out in a motel style and there are accessible rooms too which are fully ADA compliant. There is an international bar, a mini-market and deli for snacks at the hotel. 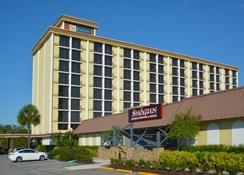 The Shogun Japanese Steakhouse is attached to the Rosen Inn and with International Drive right on the doorstep there are a wide range of different restaurants, bars and cafes within walking distance to indulge in after a day of fun. If you choose your room plus breakfast, you can avail of the buffet style breakfast in the Palms Dining Room. Staying at the Rosen Inn means that you’re close to all the major action and attractions that Orlando has to offer. 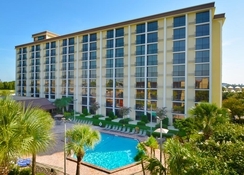 The hotel offers a free shuttle service to some of the resorts amazing theme parks and attractions, while others including Walt Disney World only cost a small fee. There is an arcade at the hotel while Magic Midway, Ripley’s Believe It or Not, NASCAR Indoor Kart Racing and Madame Tussauds can all be found less than 2 miles from the property – ideal for entertainment the kids (and the big ones too! ).